The last month or so of my weekends have been spent doing some serious recipe testing. 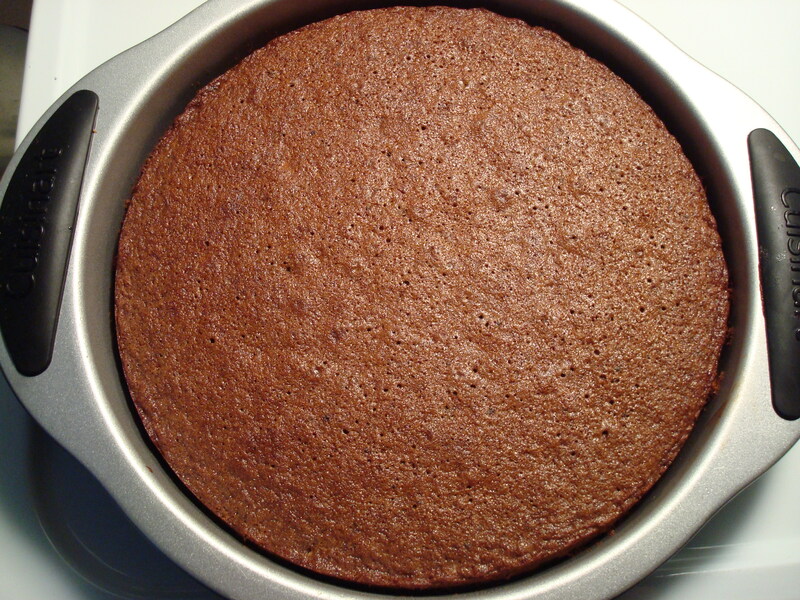 Chocolate-malt-cake recipe testing to be more specific. You see, I am entering a bake-off this weekend– only my second ever, but my first was a success so I want to be sure to give it my all. 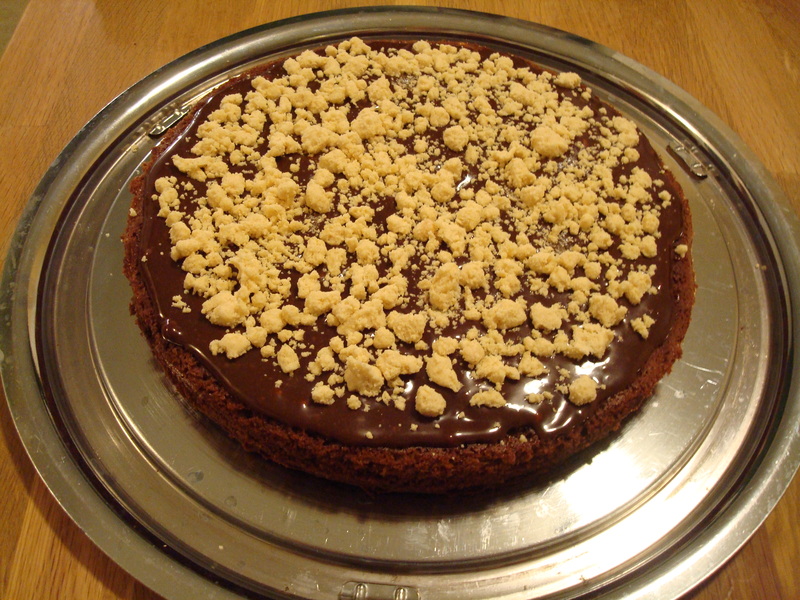 The first cake I made was a little on the dry side and didn’t include any malt powder in the batter which I think it needed to impart the flavor I was going for, but there were elements I loved like the white chocolate-malt crunch and the malt chocolate fudge sauce between layers. Also it felt strange to eat an unfrosted cake. 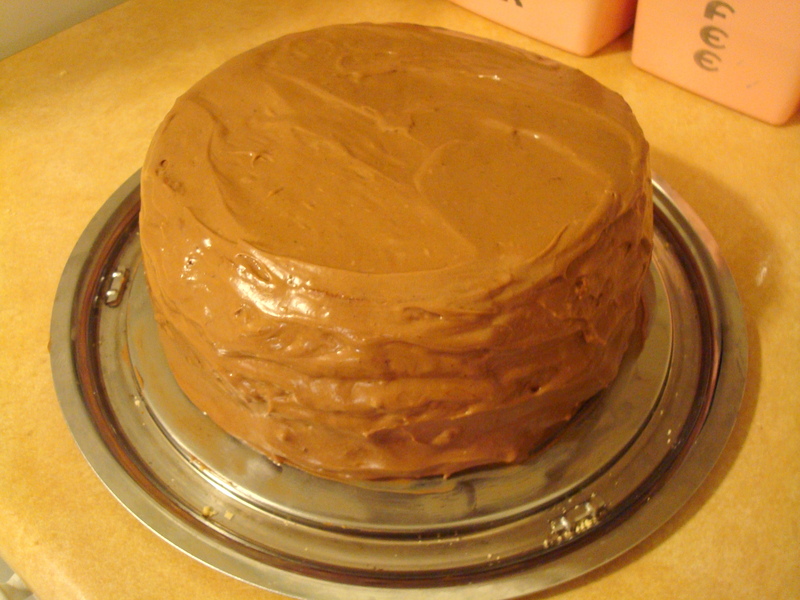 Cake should have frosting unless it’s perhaps a bundt cake or angel food cake or something along those lines. 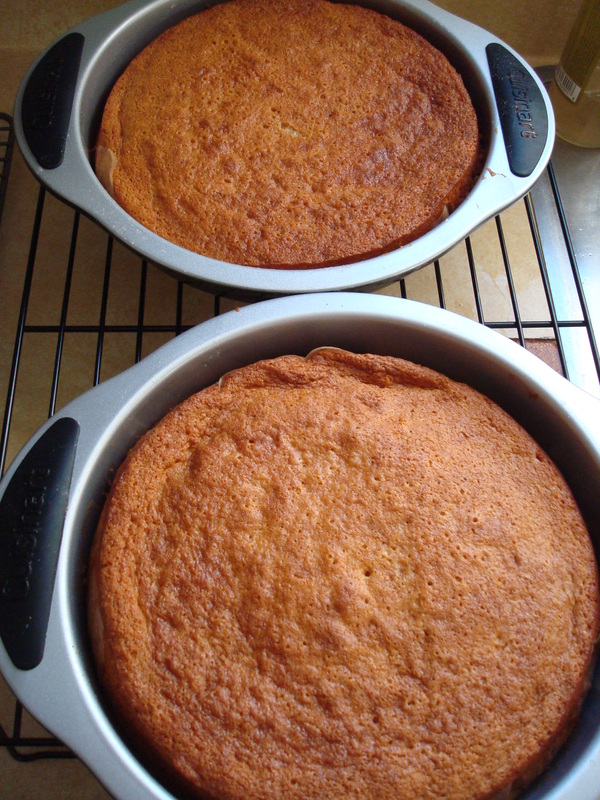 But classic cake for sure should be frosted to the max. 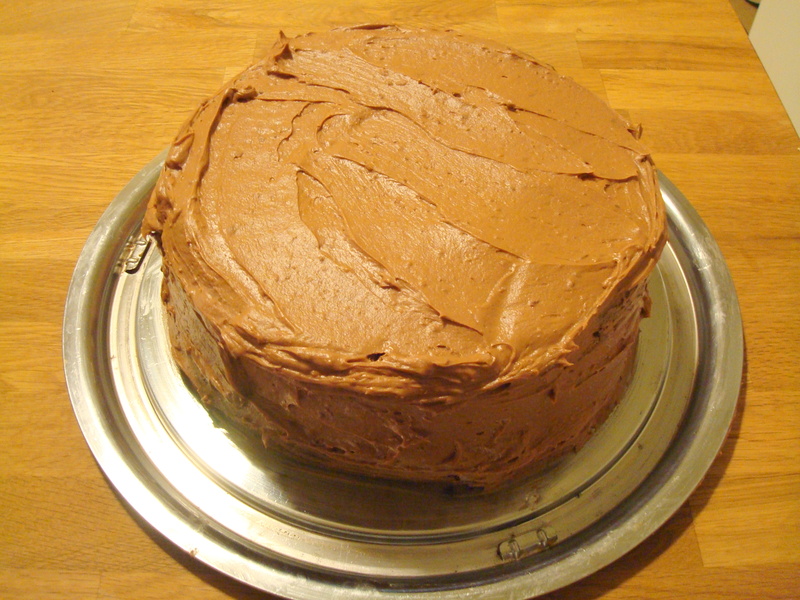 …I’ve decided that the final cake will have a cocoa mascarpone frosting of my own device. I’ll let you know how it goes. Wish me luck! Kirsten – your cake looks marvelous! – I declare you to be the winner! I just finished making a Black Forest Chocolate Cake from the Cook’s Country Chocolate Desserts, The Absolute Best Chocolate Recipes Ever collection, Feb, 2012 issue. I have been up since 6 am – that is when I do my best baking and cooking. Try this Black Forest cake recipe, End product looked just like the picture, stunning I must say!, The author had some tips (using a cooked corn starch mixture) to keep the whipped cream from weeping. Thanks! I will check out the Cook’s Country chocolate issue- sounds awesome! Although you are always a winner in my book, the sheer look of this cake will certainly win you the crown! Hope it went well!